Product categories of AI Splice Tape Crepe Paper, we are specialized manufacturers from China, AI Splice Tape Crepe Paper, AI Five Hole Crepe Splice Tape suppliers/factory, wholesale high-quality products of AI Six Hole Crepe Splicing Tape R & D and manufacturing, we have the perfect after-sales service and technical support. Look forward to your cooperation! AI Splice Tape Crepe Paper is an Auto Insertion Machine Splice Tape made from high grade crepe paper materials. Crepe paper is one of the lightest paper and normally weights below 35g/m2. Using crepe paper materials, KDW has designed a lightweight yet durable splice tape. This AI Splice Tape is capable of providing a good joint result with the Axial Radial Component Rolls. 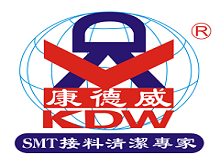 KDW is one of the trusted manufacturers that produce SMT and Auto Insertion Splice Products, Tools and other products that will help SMT and AI production process. Rim Description: AI Splice Tape with 3 or 5 holes for Automatic Insertion (AI) system. 1. AI splice tape is special for AI (Auto-Insertion) machine, applicable to both axial components and radial components. 2. Easy to use and good quality. KDW-Brand> Quality> Price advantage> Complete> Service> your preferred!